It's tough being a mom. It's easier with community. Join us for free, non-judgmental support. Connect, rejuvenate, and care for you. Mom to mom support for women during pregnancy and postpartum. 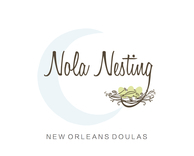 Hosted by Nola Nesting, this group is free and open to the public. Optional donations appreciated to benefit the Women's Center.